The death penalty puts innocent lives at risk. Since the reinstatement of the death penalty in the United States in 1976, 138 innocent men and women have been released from death row, including some who came within minutes of execution. 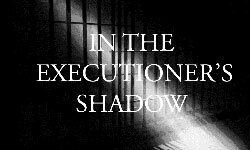 In Missouri, Texas and Virginia investigations have been opened to determine if those states executed innocent men. To execute an innocent person is morally reprehensible; this is a risk we cannot take. Race and place determine who lives and who dies. Those who kill whites are more likely to be sentenced to die than those who kill African-Americans. In Oregon, prosecutors from some counties are more likely to pursue the death penalty than others are. We pay many millions for the death penalty system. According to the Oregonian, in 1995 the trials for three Washington County murder cases cost more than $1.5 million. One was sentenced to death. The two others, one of whom was found guilty of four murders, are not on death row. In 2000 a fiscal impact summary from the Oregon Department of Administrative Services stated that the Oregon Judicial Department alone would save $2.3 million annually if the death penalty were eliminated. It is estimated that total prosecution and defense costs to the state and counties equal $9 million per year. Poor quality defense leaves many sentenced to death. One of the most frequent causes of reversals in death penalty cases is ineffective assistance of counsel. A study at Columbia University found that 68% of all death penalty cases were reversed on appeal, with inadequate defense as one of the main reasons requiring reversal. Capital punishment does not deter crime. Scientific studies have consistently failed to demonstrate that executions deter people from committing crime. Around our country, states without the death penalty have a lower murder rate than neighboring states with the death penalty. There is a better way to help the families of murder victims. Families of murder victims undergo severe trauma and loss which no one should minimize. However, executions do not help these people heal nor do they end their pain; the extended process prior to executions prolongs the agony of the family. Families of murder victims would benefit far more if the funds now being used for the costly process of executions were diverted to counseling and other assistance. The death penalty is applied at random. The death penalty is a lethal lottery: of the 15,000 to 17,000 homicides committed every year in the United States, approximately 120 people are sentenced to death, less than 1%. Capital punishment goes against almost every religion. Although isolated passages of the Bible have been quoted in support of the death penalty, almost all religious groups in the United States regard executions as immoral. Mentally ill people are executed. One out of every ten who has been executed in the United States since 1977 is mentally ill, according to Amnesty International and the National Association on Mental Illness. Many mentally ill defendants are unable to participate in their trials in any meaningful way and appear unengaged, cold, and unfeeling before the jury. Some have been forcibly medicated in order to make them competent to be executed. Although the U.S. Supreme Court has decreed that people with “mental retardation” may not be executed, Oregon has not yet passed a law banning the execution of the mentally ill. The USA is keeping company with notorious human rights abusers. The vast majority of countries in Western Europe, North America and South America — more than 117 nations worldwide — have abandoned capital punishment in law or in practice. The United States remains in the same company as Iraq, Iran and China as one of the major advocates and users of capital punishment. We are the “State.” When the “State” kills, we are participants. Would you choose to be the person that pulls the switch that snuffs out a human life? No civilian’s job description should include killing another person. Corrections personnel involved in executions, like our military, frequently suffer PTSD from having to kill. Perhaps there is a reason to have a defensive military, but prisoners pose no threat to the well-being of our citizens. There is no reason to place the mental health of our corrections workers at risk simply to pursue vengeance.